PCCW Global, the international operating division of HKT, has signed a memorandum of intention with Nilesat, a satellite operator in the Middle East and North Africa (MENA) region, to deliver TV channels into and out of Egypt. As part of its collaboration with Nilesat, PCCW Global will be installing its Global TV Network (GTVN) solution in Nilesat facilities. This new alliance will leverage the satellite and teleport services of Nilesat along with PCCW Global’s telecommunications and media expertise to ensure GTVN delivery between Egypt and the rest of the world. 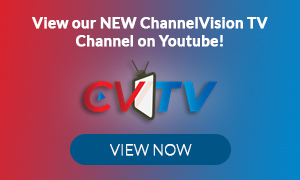 The GTVN solution will also enhance Nilesat’s connectivity with broadcasters across the globe, covering more than 90 countries via PCCW Global’s extensive satellite network. Well, technology enhancement has given a new direction to delivery services in Middle east region as the delivery solutions drones and flying taxis has now been introduced in the region.